This book is a great time! It combines all the best elements of the paranormal with aspine-chilling mystery. Although short, it is a well-told story full of twists and turns. The author has a light easy-going touch with a descriptive style that draws the reader into the action. Although a little light on the shape-shifting aspect of the characters, the story explores other aspects of the supernatural, drawing inspiration from Viking mythology. This use of mythology in a modern way opens up a plethora of new ideas for the genre. "Valkyrie's Vengeance" is a niceeasy read, perfect for unwinding after work or on a Sunday afternoon. Loki, Fantasy Books, Epic Sagas, Werewolves and Shifters, Animals & Nature, Popular Series, Paranormal Fantasy Books, Top Rated Books, Tricks, Fantasy Omnibus, Spells & Charms, Romance Books, Loki Books, Wizards, Fantasy Romance Books, Essential Reads, Grimm's Complete Fairy Tales, Epic Fantasy, Vampires, Omnibus Bundle, Paranormal Romance Series, Adventure Books, Mythology and Folklore, Top Rated Fantasy Collection With Vikings And Shapeshifters, Fantasy Bundle, Heroine, Dryads, Supernatural and Occult, Sword And Sorcery, Shifter Romance, Modern Paranormal Romance Series, Fantasy Stories, Shifter Series, Fantasy, Urban Fantasy Books, Shifter Omnibus, Best Rated Omnibus, Omnibus Collection, Paranormal Romance Books, Magical Adventures, Alpha, Warriors, Shadow, Asgard Stories, Demon, Chaos, Fairy Tales, Thor, Odin, Freya, Frigg, Angel, Wolves. What a terrific compact read, 111 pages of details, backstory, action & juicy characters, that make you crave for more. The details in the action scenes came alive in my mind so vividly that it felt like I was actually there. 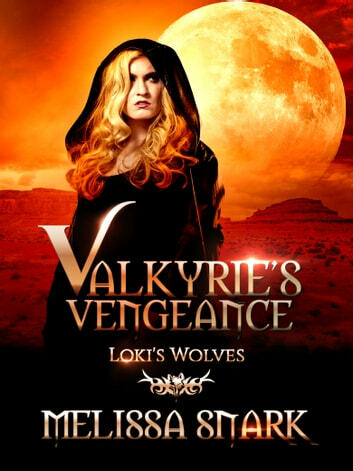 Valkyrie's Vengeance is an expansion of Melissa's novella 'The Child Thief' & is also the prequel to the "Loki's Wolves" series. We get a taste of Melissa's characters in the series, they are juicy, broken & fighting for survival. An extremely thought out book & an epic start to the series, I will be reading more from you soon.